Yes, I’m a nerd. Each December I savor drawing up an official reading list for the coming year. I started doing this a few years ago when I noticed that, left to my own devices, I end up re-reading the same twenty novels and not discovering new authors. So this is the time of year when I scour “Best of 2011” lists, searching for titles that will keep me from cycling through Jane Austen or Barbara Pym again. I don’t always stick to my list. This year, I only read 1/3 of my list books, many of which are going right back onto the 2012 list. The Odd Women by George Gissing has been on my list for a few years now, and it’s going to be there on Jan 1, like the chunk of rare steak that Joan Crawford refused to throw away, putting it on little Christina’s plate day after day. 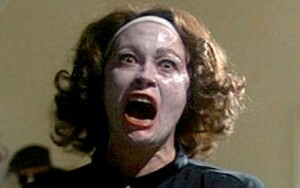 Sometimes I have to be my own Mommie Dearest. This year I read about fifty books. My favorite by a long shot? Pride and Prejudice. List fail! But I was sick and there it was on my eReader, and…well, I’m weak-willed. And Pride and Prejudice is the best book of any year. But I did discover new authors this year, ones who I’ll be returning to. The first book I loved was one of the first I read last year, The Little Stranger by Sarah Waters. Set during post-World War II England in a crumbling manor house, it’s a great gothic tale, complete with ghosts, insanity, and doomed love. A few years ago, my friend Berit told me I should read Game of Thrones by George RR Martin. She might as well have handed me a crack pipe. I was skeptical of the book because I’m not a big fantasy reader—I abandoned The Lord of the Rings after The Two Towers (hope Frodo’s okay!) and Harry Potter midway through the second book. And I was ready to give up on Game of Thrones too, until about fifty pages in, when the plot took a crazy turn and I could not stop turning pages. Thereafter I was another George RR Martin slave and gobbled up the whole series. I love a writer who brings out both the good and terrible in all his characters and makes a reader care about them anyway. Anthony Trollope does this, and so does Martin. Empire of the Summer Moon by S C Gwynne was my favorite nonfiction book of the year. It’s a page-turner about the clash of civilizations between the Comanches and the Texas settlers. Not for the faint of heart. In mysteries, I loved Crooked Letter, Crooked Letter by Tom Franklin and Child 44 by Tom Rob Smith. Fever of the Bone by Val McDermid has me hopped up to read the next Carol Jordan/Tony Hill book, The Retribution, which comes out in North America in January. And there were many more authors I read and enjoyed this year, including many from Carina Press, the digital-first publisher I freelance edit for. I’m always so grateful to people who recommend titles to me, and it’s interesting that many of my favorites this year were suggested to me by people I attended high school with. Maybe my youth wasn’t as misspent as I thought.